Kansas City held the most wonderful spring market! Norma and I were sad to bid our farewells to Claudia, Sherri, Ida, Karen, and many more wonderful instructors and friends, but retail therapy was calling, so off to market we go. We were so excited and then taken by awe as we came upon this beautiful bridge. 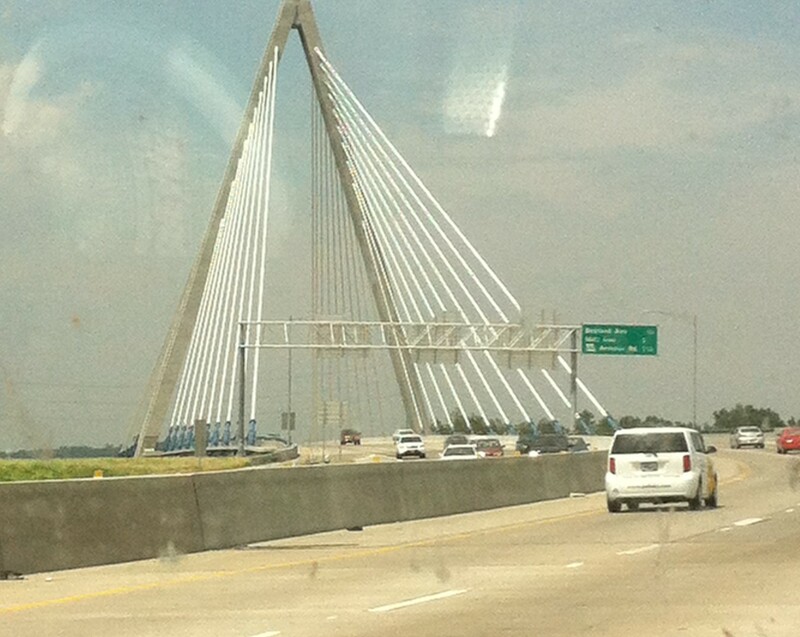 So a big thank you Kansas City, not just for hosting a ton of crazy quilters, but for the site this bridge gave us. Simply beautiful. We arrived at our hotel and checked in, checked the time and rushed to the convention hall. by the time we arrived we had only 3 hours to scour the entire convention center, a nearly impossible feat. Were we up to the task, silly question, what do you think? Driving was a challenge, we had no idea where we were going and even with our garmin leading the way we made a few wrong turns which put us behind schedule. 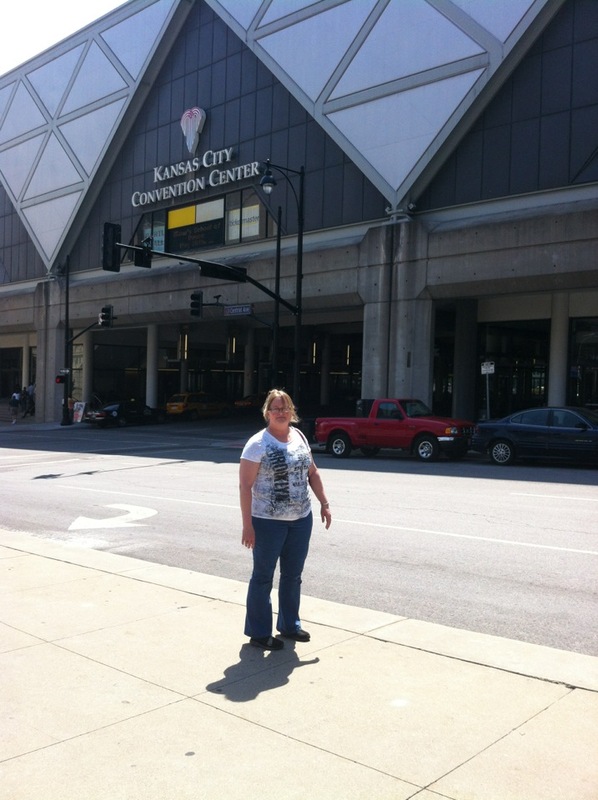 Once we found the convention center we had to find parking…. really Kansas, could you mark parking around the convention center a little more clearly? It was amazing, so many facettes under one roof, patterns, notions, materials, and lots of beautiful show quilts. We saw Lions and Tigers and Bears..Oh My! ok all dramatics aside, we saw a couple of lionettes dancing around, very festive. Norma and I purchased some wonderful block of the month patterns, applique patterns, and we saw so many great ideas, we can hardly wait to share them with our clients and friends. WE really thought there was no way to cover all these vendors in our short time allotted…. I bought these awesome pins by clover, you pin them vertically on your quilt sides when on the long arm and roll them as you roll the quilt. they snap back to original shape when unrolled. awesome! These pins are flower head the size is 0.55 mm x 50mm and 20 pins on a card for 3.95 ( a great pin to use on those long arm machines) I bought quite a few for resale, let me know if you need some. 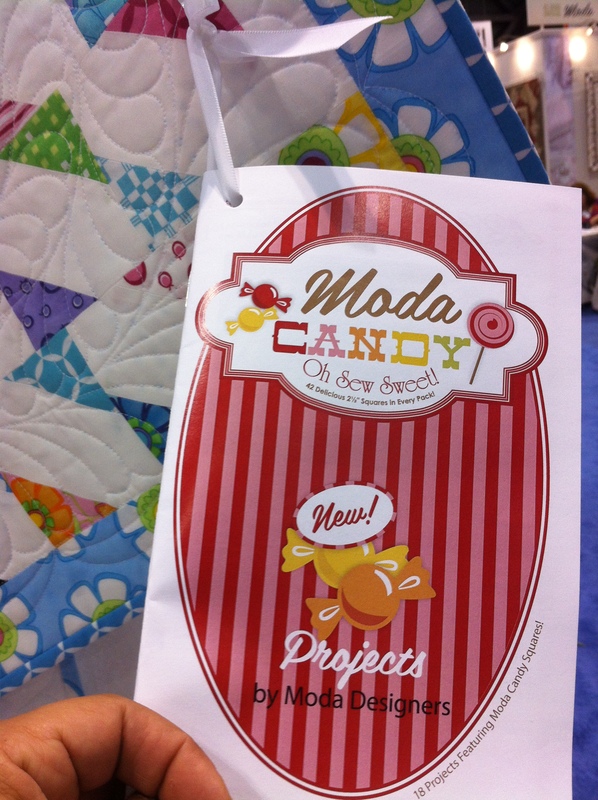 You may also like to check out babyville, adorable patterns for cloth diaper covers by Moda, and the fabric is so soft. here is a pic of one of the pattern books with ideas. Well, you may be asking if we got through all of the show… we saw Deb Madir booth, check out her website if you haven’t seen her patterns, I give classes on her items because they make great gifts. We stopped by Shannon’s fabrics, who doesn’t love cuddly, we bought patterns from bloomin minds, they have a lot of new ones out. 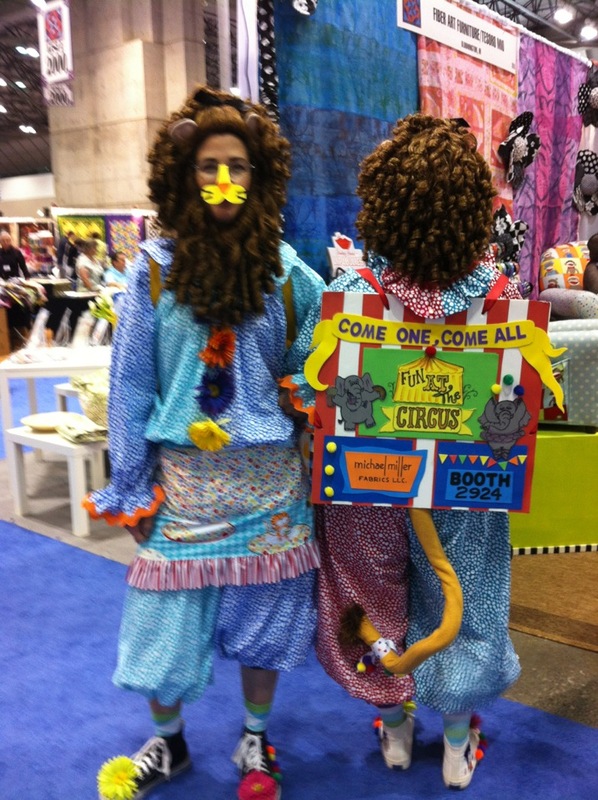 When all was said and done, Norma and I were lugging around approximately 4 large shoulder bags full of merchandise each! My back is still in disarray from the stress and weight of the bags. Yes we finished and it was so worth it! We will be attending Houston Market in the fall and actually take three days to go through it. Pam Dado is going as well, so be sure to check her shop for lots of great new items. Once we got back to the car, it was time for some fun in the sun…. check back tomorrow and see what or where our escapades led us. You won’t want to miss out on the fun.